Our Clean Cold Rooms are the perfect match to our other CLEAN3 Modular System products! 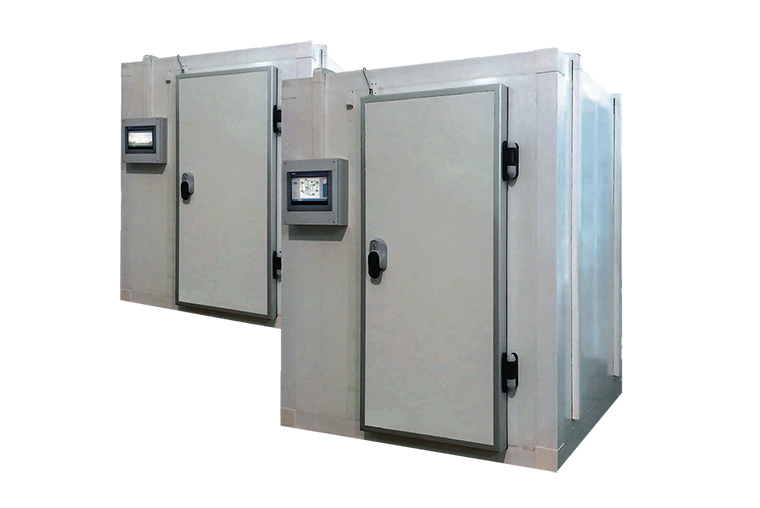 Each Cold-Room features only pharmaceutical grade components and an internal temperature control/monitoring system. In addition, self-supporting wall panels, doors, ceiling and flooring form the exterior portion; whereas, insulated metal panels comprise the interior. Further, Polyurethane foam provides highly effective insulation. Moreover, chipboard internally reinforces the floor surfaces. Lastly, each system offers an innovative design, energy savings, reduced foot-print dimensions, environmental sustainability and easy validation. Further, Polyurethane foam (Type PUR without CFC), or alternatively with polyurethane foam (Type PIR) insulates our Clean Cold-Rooms. Also, the floor surfaces are internally reinforced with 10 mm chipboard glued to the plate.